How do I create a label using PayPal shipping? There is an excellent discussion here by Bstudio in the team discussion forum and a visual step-by-step by Joanniel here. I sell small, lightweight items. I've heard that it's possible to "beat" Canada Post's 2cm. rule and ship them Light Packet. How do I do that? LittleBearsMom offers a step-by-step tutorial here. Is there a way to create a label through PayPal if I haven't had a sale? Yes. If you sign into your PayPal account and click this link you can create a label using PayPal shipping saving both time and money. Not only will you avoid long line ups at the postal counter but it will charge you the small business rate. I've just joined the OhCanadaTeam and I'm wondering, is there a master list of teammates' social media links? Yes, a Squidoo lens has been created to serve as a master list. You can have your links added by posting them in this thread, or in the comments section at the bottom of the team Squidoo lens. If you're a current member please quickly scan the Squidoo lens first before adding your links. They may already be there! 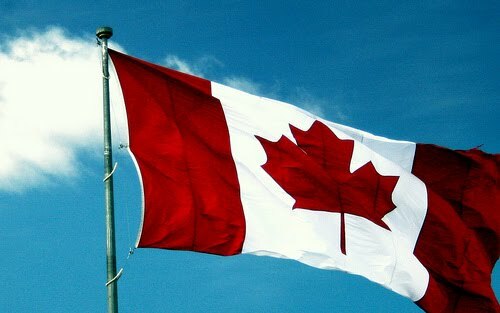 I'd like to get more involved in the OhCanadaTeam. How can I do that? That's great! We're always looking for people with blogging and/or coding experience as well as quick learners and highly motivated, energetic individuals. Please contact one of the two team leaders, Leanne or Molly, for more information. If you find that your questions have not been answered here, feel free to stop by our monthly chat thread to pose them to our friendly and helpful members! The link changes monthly, but you will always find it near the top of the team discussions. Frequently Asked Questions in the Etsy discussion forums.